Where's the privacy line in Street Photography? Can you cross a line when shooting street and is there an invasion of privacy? Man in the Painted Mirror (Hands, Paul. Paris, 2013). In the name of art and the right to record in public places, is the picture that I created in 2013 (above) morally right to create? The laws in France do not allow people to make photographs of other people in public without their permission, yet some of the greatest photographers from the history books including Eugéne Atget, documented the Parisian streets but long before the laws were changed. The high court judges altered the privacy laws in France, making it illegal to take a picture of somebody in public unless you have their express permission. Prior to these changes, some of the most famous photographers in the world like Henri Cartier-Bresson and Robert Doisneau worked the streets, making pictures that would go on to influence the world and especially photographers interested in the genre of street photography. Now today's photographers are strangled with red tape in France and have no chance to even emulate their heroes, that time has gone! In todays current climate, each of the three pictures from Bresson and Doisneau would be deemed illegal and wouldn't be allowed to be created. Publishing them on social media and or in print would also be illegal. In Britain, the laws are an opposing reflection of those in France, whereby you can make a picture of anybody and anything, as long as you're stood on public land. The laws is so relaxed purposefully to allow room for realistic journalism. If the laws became alike those in France, a new culture of suing photographers would arise and a realistic view of our world would disappear and you'd only see designed pictures with heavy influence from the photographer, giving a false view. 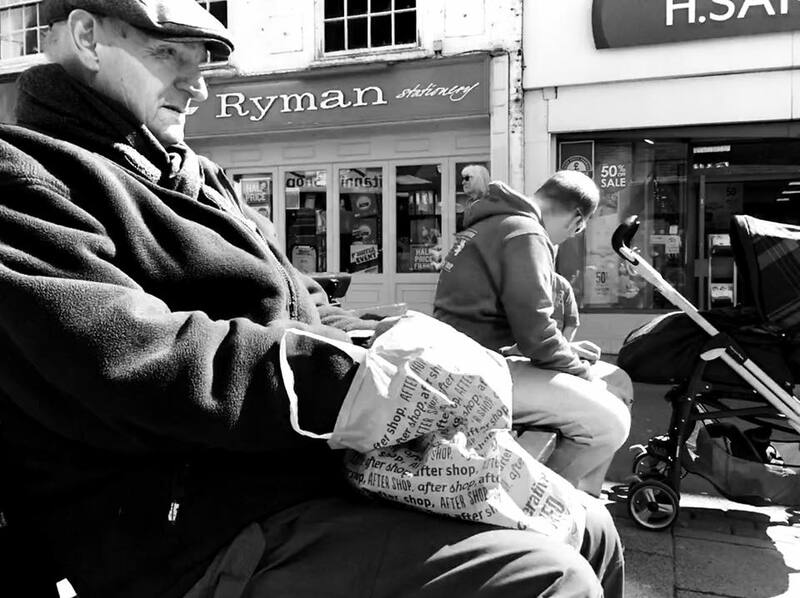 Recently, I practiced some Street Photography in my home town of Hinckley in the Leicestershire county of the UK. I feel that my best work has always been in different cities around the world where I'm unknown. The first image in this article was made by me in Paris and is completely against the French laws of privacy. If the man in the picture ever discovers this photograph, it could land me in a little trouble. However, my home town Hinckley is not as busy as Paris and a lot of people know each other, the community is tighter than that of a city and it makes it harder for me to practice my love for this genre. I have been out and made some pictures, not all good and some only close to ok because it's the hardest form of photography I know of. 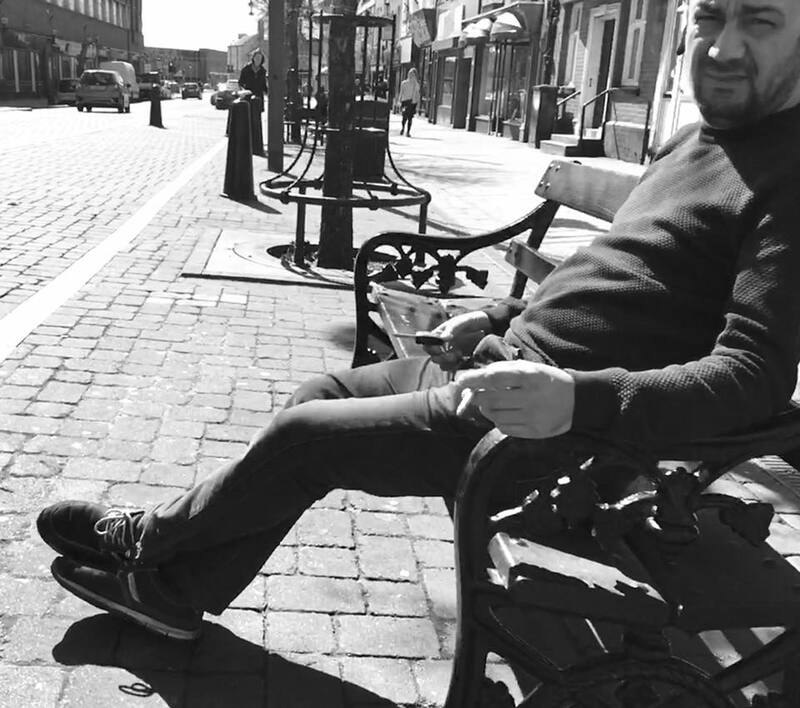 I created the above pictures in the town centre with my iPhone and then shared them on my social media page for a social documentary that I've been building for the past 7 years. The body of work is huge and covers the people, events and changing landscape. My page is open for the community to have conversations around my photographs with me and with each other and there's no censoring of the communications. A lady who follows my page commented "I would be absolutely devastated and fuming if I found myself on a photo I knew nothing about, but maybe that’s just me!" (Deborah). This leads me to wonder whether it's just a lack of knowledge that makes people feel this way but at the same time, forces me to question the entire practice of street photography. Just because we can, does it mean that we should? Is making the photograph ok but sharing it on Social Media the problem? Should the photograph be made in the first place? Photography always raises questions and so it should! Without the questions, we could just keep making pictures without ever knowing why. It's the why that's the most important thing to consider. What are the intentions? A New York Photographer called Bruce Gilden is very well known in the industry for his style. A style that will see Gilden jump in-front of passers-by, with his camera and flash, yes he used flash in strangers faces. His style is so aggressive that you will even see some photographers curl their toes when watching videos of him. 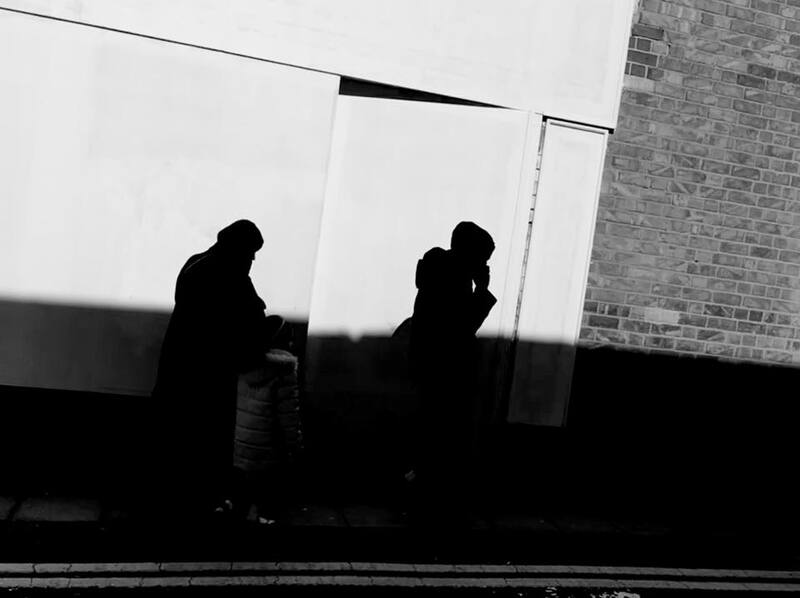 The UK's very own Bruce Gilden is called Dougie Wallace, a current practicing street / documentary photographer has adopted a similar style to that of Gilden's. Wallace is no sucker and is far from afraid of shooting in peoples faces. His aggression is so high that even when confronted by people not wishing to have their photograph taken, he refuses to delete the picture, citing his ownership over it. Has the world lost it's way? Why is everyone so offended by photography? You see, I can't begin to close the questioning! Another commenter on my pictures said "I agree with Isobel, taking photo's for your own use is fine, but publishing them on a social media platform is a different matter altogether. I know you say you would remove them if requested, but how would people know they are there . . . and if you've already put them on facebook or wherever, it's too late . . other people would have seen them." (Lin). Lin makes a strong point in favour of not sharing the pictures on Social Media, although I feel that it is pretty much the only window to the world for a photographers work these days. Traditionally, we'd use exhibitions. gallery spaces and printed books to show the work but nowadays, the work needs to have some kind of presence online before being seen in a show. It's not the same in all cases but still, what other options are there? Lucy said "If only people understood the "no permission is required" thing in street photography". Lucy is right, the law states that we can make the picture if we're in public and the law believes that if you're out in public, how can you expect privacy? In Britain, we're allowed the right to expect a certain amount of privacy, like if we're in our own homes. You would think that we're safe from prying lenses. Luckily we are and technically, if I stood on the street and pointed my lens in to your living room, I'd be legally in the right place but disrespectfully breaking your rights to privacy. The law is not straight forward. I'm a firm believer that as long as you have the right intentions and are respectful to those within your frames, make work that doesn't humiliate others, then surely there shouldn't be any objections, or strong ones anyway. Paul Hands (2016, Wirksworth, on a workshop with Paul Hill, Nick Lockett and Martin Shakeshaft. So of course, there's no line in street photography. There's just peoples opinions and everybody is right, it's always a 6 or a 9! People do have a right to some privacy but not really in the street where you're on public view. Photographers have the right to make art but I believe with that comes a great responsibility because after all, we are dealing with the image of people and in these days, they feel that they need to be more stringent with protecting their own image. Possibly an inflamed state of paranoia brought about by the media and national news items of identity theft. Theft of this, theft of that, invasion of privacy is something that can only be enforced if your in private.